JULIA SPENCER-FLEMING: The tourists are here in Maine, the temperatures have been up in the seventies more than once, and GAME OF THRONES is about to broadcast its season closer. That must mean it's summer! And summer, of course, means it's time to share our seasonal bucket lists. Last year, I left out "writing a book," and look what happened. So I'm starting off with that on my list. I've actually given my agent and editor a new deadline at the end of August, so you can all hold me to it. I'm pretty sure public shaming is what I need right about now. One of my perennial items has already been crossed off: heading to Hadlock Field in Portland to see the local minor league team, the Sea Dogs. I went earlier this month with my brother-in-law and Youngest, and it was as delightful as it always is. So I'm adding "Go again!" to my list. One of the things on my list is to get outside to enjoy the patio more. 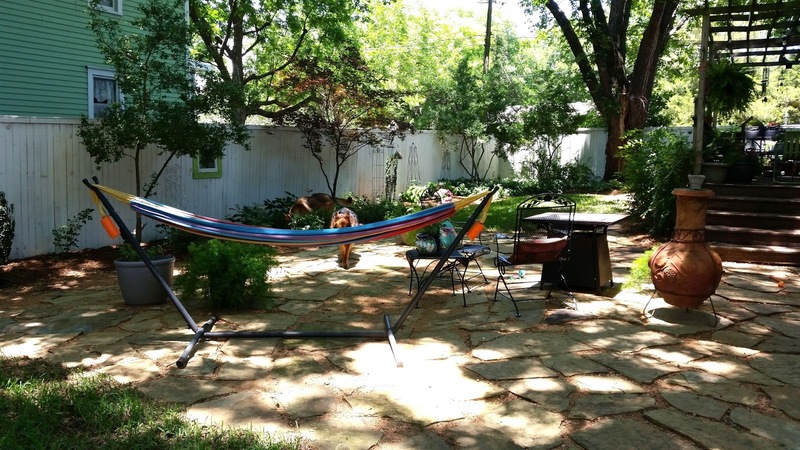 Last summer, Ross and the Boy built a lovely slate patio in the perfect spot in our back garden: sunny, breezy, with lovely views of the trees, the flowers, and, in the evening, the sunset. We have comfortable chairs and enough tables to handily set down a drink and a book. Ross has taken to heading out to enjoy a beer in the late afternoon; I need to remind myself that working on the computer or doing the laundry or what have you is not more important than sharing some time outdoors together. On the non-writing front, it's now Year Three of our five year garden renewal plan, and this summer's projects are deeper weeding around the grape arbors and high bush blueberries, continuing to fight back against the Japanese knotweed (extensive tarping has really helped) cutting down more of the small young trees crowding against our fence (we may get professional help with this) and, least but not least, building a firepit from a kit. I'm super excited about this and hope it doesn't wind up on the "There I Fixed It" blog. Reds, what's on your summer bucket list? RHYS BOWEN: My summer plans? Loads of laundry after five weeks in Europe for starters. Then intense writing to finish current book. Then daughter and family arrive for three weeks, so house full of noisy teenagers. Then book launch for Crowned and Dangerous on August 2 and various events around the country. 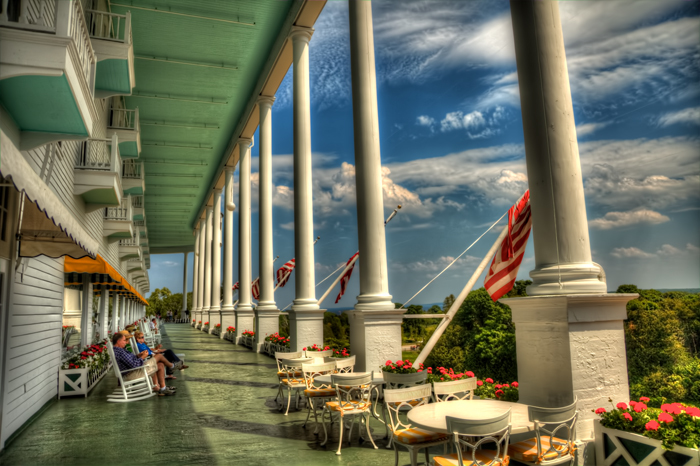 Then at the end of August I'm giving a speech on Mackinac Island. So not exactly a summer of lazy days on the porch! JULIA: I don't know what vitamins you're on, Rhys, but I want some. HANK PHILLIPPI RYAN: Yes, yes, the pool will be open. I promise I will go in. Maybe..... But I will float! One of my favorite things is to get a book, and a pink grapefruit fizzy drink, and then and float and read on a puffy raft in the pool. Looking forward to all kinds of summer food, (Roberta and Hallie will tell us what), and gin and tonics. Rose wine. Those wonderful days when the sun doesn't set until 9. We'll go to Tanglewood a couple of times, and some book trips. But--I have to finish my next book. HAVE TO. And I confess, I am (at this moment) looking forward to it. That, of course, will change. SUSAN ELIA MACNEAL: I am in "book jail" this summer — but we're still doing our annual trip to Rhode Island and I'm looking forward to a beach day with the family (authors in book jail occasionally get day passes if we make our word count) and then a lobster roll at Aunt Carrie's (best seafood ever). I'm also excited because my BFF Caitlin is coming to from San Francisco to New York (her daughter was accepted to the American Ballet Theatre's summer school) and they're going to be spending lots of time with us. It will be fun to watch our kids play together — and also nice to let Noel watch the kids and get some GIRLFRIEND time! Catching up, walking in the park, drinking wine, chatting away..... Also: fireflies. 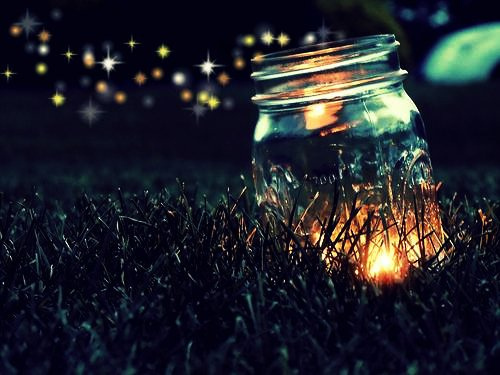 Love the late June and early July fireflies. So magical. JULIA: Congrats to Caitlin's daughter! The ABT is serious ballet. HALLIE EPHRON: Sadly my bucket list this summer includes FINISH THE BOOK, too. I have comments back from my editor and have to get it back to her August 1. But we are taking a much anticipated trip to Iceland for a week... because life in New England has too few Puffins in it. We'll also spend a few days at least on Peaks Island off the coast of Maine. 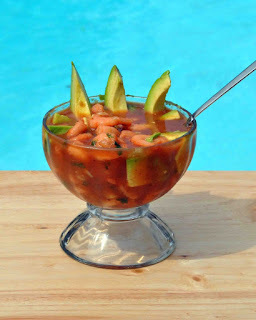 And I need to make a Mexican style shrimp cocktail - poached shrimp swimming in a dressing of spicy tomato juice with hunks of avocado, sweet pepper, and fresh cilantro. We already had our first rootbeer floats. DEBORAH CROMBIE: Obviously, my summer is all about FINISH THE BOOK. Which will hopefully be in the next week or two, but then there will be edits and copy edits and page proofs. But once the manuscript is turned in, I want to do a few of the normal summer things. Hallie, the root beer float! Have ice cream, have root beer. Gee, I guess I could eat that while typing... I want to get my hillbilly hot tub set up and float around under the stars. I want to eat tomatoes (with everything.) Our farmer's market has been open since March, but we have yet to see a real vine-ripened tomato. I want to sit on my deck in the morning when it's lovely and shady, and I want to spend more time on my patio, playing with the dogs, instead of looking at it from the window. JULIA: Okay, if Hank doesn't float in her pool by the week before Labor Day, she's throwing a pool party for us. Hallie, you bring the ceviche, I'll bring a home-made blueberry pie, and Susan can make us cocktails. Deal? How about you, dear Readers? What's on your summer bucket list? Family time, gardening, lobster rolls, and tackling my forever-teetering stack of books to be read. Fresh summer vegetables make for lots of fun cooking, and I promised to make bacon jam for my sister, so I guess I’d better make sure that’s on the list as well . . . . I always have FINISH THE BOOK on my list, but the current one is coming out faster than I expected, so I know I'll make it. I'm kicking off the summer today by going to Jeness Beach with my best friend of 39 years; we've always shared a love of sun and sand. 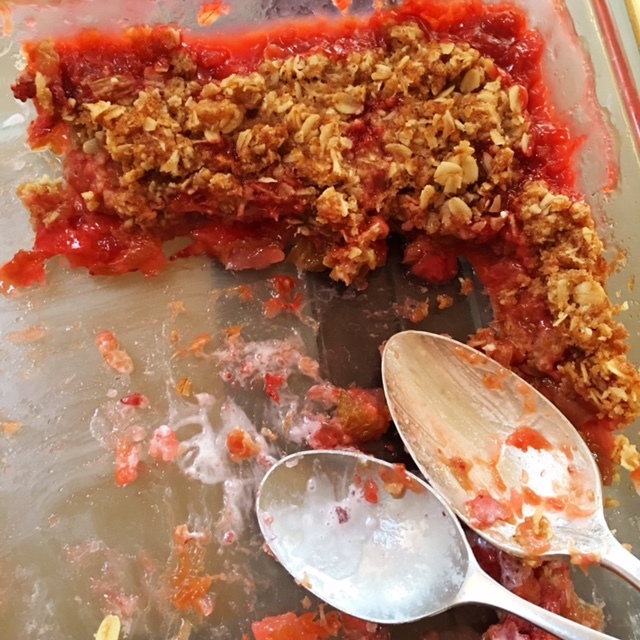 For the rest of the summer, lots of fresh tomatoes, two writers retreats with good writer friends, a trip to Boothbay, Maine (see you there, Julia? ); and a week with my boys, one's girlfriend, my man, and my sister at a farm guesthouse in Maine. On top of all that, my town library and the local John Greenleaf Whittier Home Museum are sponsoring my historical mystery as an All-Community Read! So I'll have various events to attend in association with that, and in the fall working with several high-school classes also reading it. It's a real honor, and it's going to keep me very busy. The family vacation week might be my only chance to relax with a G&T and read. Now, back to that first draft. The only thing on my summer bucket list before this morning was cooking the first meal in my new kitchen. Go to a ballgame with Julia. Our Rochester Red Wings have won every game I have attended, bet I could get free tickets if they knew this. Enjoy Mackinac Island with Rhys. Love islands. Love Rhys. What's not to like. Go to Tanglewood with Hank. Now this could happen, not all that far from Rochester. Maybe Garrison Keillor next week? Definitely a trip to Rhode Island with Susan. Our neighbors take a summer cottage on Port Judith, have been going there all summer every summer since the 50s. It was built on 1903 and survived the 1938 hurricane, one of the few. Iceland has long been on my bucket list, so Hallie, make sure there's a bed for me. One of my favorite authors is Arnaldur Ingridison. Do you know Iceland has the highest degree of literacy in the world? And oh Lucy, may I please come to California with you? I want to rock the new grandbaby and smell her head. Last, and this one will likely happen in September, I want to have a drink in the hot tub with Deb. Am jonesing for a strawberry daiquiri, but even a snow cone will do. So hit that deadline and pencil me in. I envy writers usually. (and) Right now I am glad I don't have a book to finish. (and) Obviously I have too much traveling to do this summer. (and) I hope I never split an infinitive while correcting the grammar and punctuation of another. Pfttt. Joan--wait --bacon jam? Tell us more! Ann, saving you a spot in my suitcase. Edith -- send some of your good work juju my way svp. Hank, be careful what you wish for! Next week, I'm visiting my best friend from high school. Haven't seen her for...seven years. We moved the porch furniture to the back deck under the roof so now it's a perfect place to spend time reading and sipping your drink of choice. The big one? Find out what's wrong with my knee so I can walk at least a LITTLE better at Bouchercon this September. I feel like progress was made yesterday. Kinda weird to be happy about answering questions like "Does this hurt?" and "Does this give you trouble?" with "yes"! Did someone say pool party at Hank's house??? And I sincerely hope that everyone is out of 'book jail' soon this summer--because that will mean more lovely hours of reading time--not a guilty pleasure at all! 4. Sit on deck more often. (This past Wednesday I took a vacation day to unwind from weeks of working overtime. After breakfast I made some tea, and retired to the living room to read. After a little while I came to my senses and realized that because it was a beautiful day, I should take my book and my tea out to the deck. So I did. And thank you, authors, for providing the reading material. Since I've pretty much blown the travel budget for awhile, and since I still plan to go to Bouchercon and our niece's California wedding, I'll be staying put all the rest of the summer, for a change. And since I'll be in town during wild blackberry season, for the first time, I'm looking forward to picking parties with friends, then some canning and freezing. I also plan more writing. Rhys gave me a lot to think about in the workshop, and my trip gave me a lot of inspiration for a new direction in my main project. And trying to teach my workaholic husband how to relax. He's getting closer to the day when he can say he's retired, but I think he needs a bit of a nudge. That's my big project for the next couple years. Hank, bacon jam is a mixture of caramelized onions, bacon, and spices; after it's cooked it gets zapped in the food processor for just a second so the texture is similar to fruit jams. Then you spread it on hamburgers, cook with it, spread it on the bread before you make grilled cheese. It's not difficult to make; the biggest task is chopping up the bacon, onions, and leeks. To say it's yummy is really a bit of an understatement . . . . Going to visit New York. Four days. Not a lot of time but I want at least walk in Central Park and visit Ellis Island. Joan, bacon jam sounds like the best thing ever, right up there with hot pepper jelly. If you email me the recipe, I'll put it up for the Sunday recipe. Yes, I do have ulterior motives; to wit; making it for myself. Ann, I love that you mention baby head. I want to smell baby head, too! It's been too long. And Edith, you may see me in Boothbay. I'll have to check my email and see if I declined - I've been trying to say NO a lot more in favor of working on the book! Wonderful plans all! And, I have to admit that I especially like the finish book plans for my favorite authors who are the Reds, but I want you all to have fun, too. I'm frantically trying to get certain books read this summer before Bouchercon, so many wonderful authors I've yet to experience. I'm so glad that I'm caught up with the Reds. Family of course will be important to spend time with this summer. Going to see son right after 4th of July. It was supposed to be this weekend, but plans changed. My friends in my hometown are planning a small get-together that I hope to make. If not, I'll still go visit them another time this summer, and at which time I'll also see my brother and sister and their families. Of course, there will be weekly trips to see the granddaughters, only an hour away. Six-year-old has her first piano recital this next Monday. My husband and I are trying to decide what to do for our 40th anniversary coming up in October. We might try to take our trip to Mt.Rushmore and other surrounding places this summer, but it might have to wait. We do want to do just a little jaunt of taking the train to Kansas City (he is currently located in Kansas). There will also be lunches with friends and maybe an occasional little day trip. I look at the calendar and think that summer is already slipping away, so I'd better get busy. Kathy, you may be more fully booked that Rhys! Time to ink everything in in the calendar now. BTW, my brother and his wife went to Mt. Rushmore and the Dakotas and had an amazing time. In my coastal bias, I had never thought about it before, but now I want to go. Loved reading all your plans. Mine? 1.Finish the first draft of the work-in-progress. Health issues put me behind and I am really, really, really going to get it finished now. (My publisher has been great about it) 2.Then, before I start draft 2 - clean up/file/trash the piles of paper in my office. (Really. It will happen) 3.Eat healthy, delicious summer foods. I too have a rhubarb crisp on the counter :-) 4.An August week on Cape Cod with the daughters, their husbands and the grandkids. Sounds like the fun part of the summer, right? Julia, I love to hear that others went to Mt. Rushmore and had a great time. Thanks!